Tagged with Netherlands, student discount, student transport, transport. A public transport card with discounts and information in English will be made available for international students at Dutch institutions participating in the scheme at the start of the next academic year. The nationwide rollout follows a successful pilot program conducted by Nuffic and ISIC, the International Student Identity Card, in collaboration with mobility solution provider Mobiliteitsfabriek. However, only students at institutions participating in the initiative will have the possibility to receive the card. 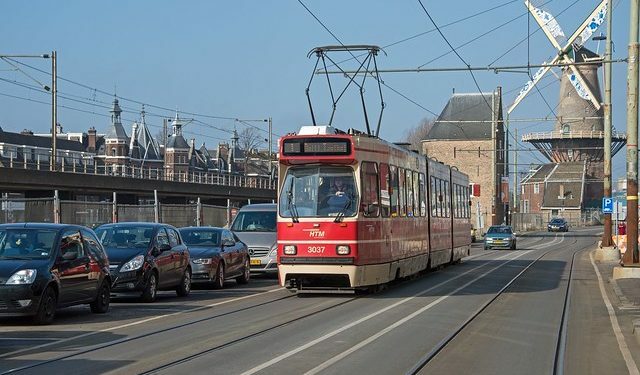 “The intention is to provide international students in general with a domestic travel product that corresponds to their needs and provides suitable information in English about the possibilities in Dutch public transport,” student mobility advisor at Nuffic Floor van Donselaar told The PIE. Prior to the pilot program being launched, a survey of 400 international students conducted by Nuffic and ISIC showed that the average spending on public transport was €80 and the majority wanted a special card, with information and application forms in English. During the trial, students at participating institution received an ISIC Card and and OV Chip Card which gave them a 20% discount on off-peak travel on trains. They could order the cards via a website in English or during the orientation days, paying €25. The average monthly spend went down to €50, Nuffic relayed. The information provided in English also proved efficient: ISIC’s Ivo Kneepkens said that most queries were about lost cards. Kneepkens added that ISIC will continue to work on providing tailored transport discounts to students as well. The new cards could also ease accommodation problems and ultimately help with the integration of international students in the Netherlands, according to van Donselaar. “Given the shortage of accommodation, international students are being forced to live further and further out of the city. If they get a discount on public transport, this will be a lot more appealing,” she said in a statement. Nuffic will promote the OV Chip Card (the Dutch public transport system card) together with ISIC among Dutch HEIs. The activation of the card will be done by ISIC in collaboration with the institutions, mainly during introduction days or with a permanent ISIC desk on the premises, van Donselaar explained.